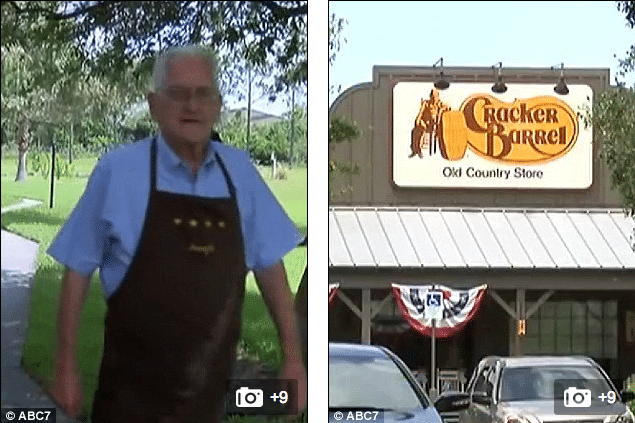 Was Joe Koblenzer, Cracker Barrell host unfairly fired after giving homeless man muffin? Was Joe Koblenzer unfairly fired? 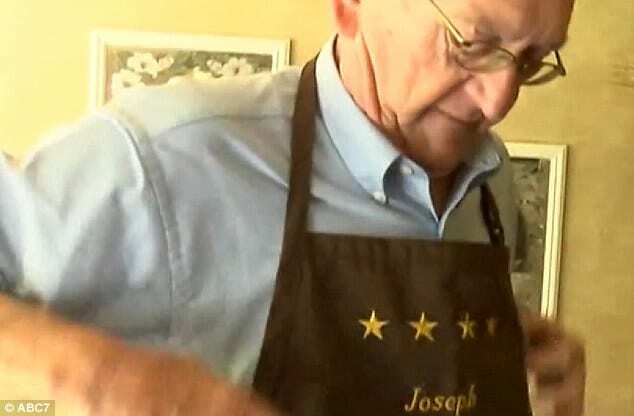 Joe Koblenzer, a Venice, Florida, Cracker Barrell host and Vietnam war veteran has been fired after after giving a homeless man a muffin. 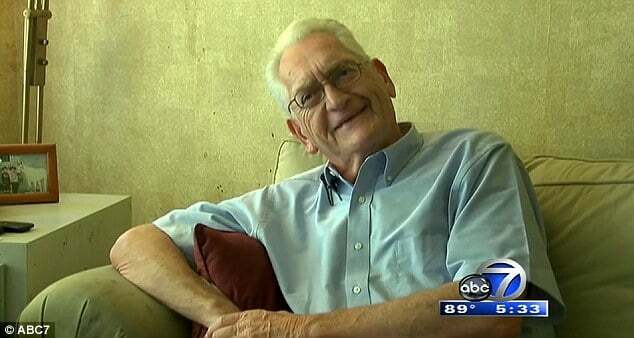 The firing tells the restaurant chain came after the 73 year old veteran broke company policy, his fifth recorded transgression in recent times. Nevertheless some have come to wonder if the chain was too heavy handed in letting Joe Koblenzer go, who in the end had only sought to aid a homeless man. The fracas came to pass whilst Joe was greeting guests at the Cracker Barrell outlet where he worked when a homeless man arrived seeking a few condiment packets. Joe would tell although he had been written up before, he believed the writer ups were for what in his mind were the most trivial of things. Joe’s niece, Penny Robinson Hockey says that she is appalled by her uncles’ treatment. Others, like Mike Cecil, have been less sympathetic: ‘I worked at Cracker barrel when they first opened. They were very strict about their products. While some are saying it’s the company’s right, the establishments reviews have plummeted with more than 30 negative comments about the firing. ‘I feel badly. It shines a bad light on the company. I would not want that on any company, but it happened,’ says Joe. ‘Mr. Koblenzer has worked as a host at Cracker Barrel’s Sarrasota store since April 2011. I worked at a health food store, and when homeless came in, I often gave them something to eat, but, I paid for the items. His generosity is his business, and he can’t decide to give away product at the expense of his employer. If the employer allowed it once, it could spiral into something that could cost significantly more money. Yes, this is a national chain, and they should be charitable, but, business is business, and a few pennies to them is more meaningful than the employee could understand. If he decided to be the good guy, let him do so, at his own expense. This guy should not have been fired over a muffin, or 5. Greedy owners, I’m staying out of that cholesterol shack from now on. On a side note…I worked at an Einsteins Bagel shop before I joined the military and we donated all the leftover bagels we didn’t use for croutons to a homeless shelter. The amount of food wasted that could feed someone is really sad. Way to go Joe! You are one of the few kind-hearted people left in this world, now if only your selfish, cheap superiors had the same kind of morals! I will not be visiting CB again, not only have I had bad experiences with customer service, er, lack there of, but they certainly just proved their greedy, insensitive tendencies, and I won’t be a supporter of that. Sure, rules are rules, but I mean really, you didn’t hand out free meals, or empty the cash drawer, you had a coke, and gave the needy man a muffin! Hopefully you find a better paying job that appreciates you and gives you the chance to make people’s day better. Would Joe have still gotten fired if instead the person he gave the muffin to wasn’t a homeless man but a celebrity who just randomly walked off the street telling that they too are down on their luck? Joe was way to generous with someone elses money. He should have bought the muffin if he was all that concerned. He wanted to give away someone elses stuff. The company is not being greedy. The guy was told 4 times to stop doing something. He chose to do it a fifth time; he lost his job. He should have paid for the food. Please tell me the names of some restaurant chains that allow giving out free food, I can’t wait to visit them and get some. Obama generosity is theft no matter how nice you feel after giving away someone else’s property.